Your People & Plant Are Safe? Skill up at OMRON Safety Skill Builder Workshop to create a sustainable, safe workplace. When a machine presents potential hazards to operators or other personnel in the machine area, it must be safeguarded and maintained. Is your workplace compliant with the following 3 key elements? 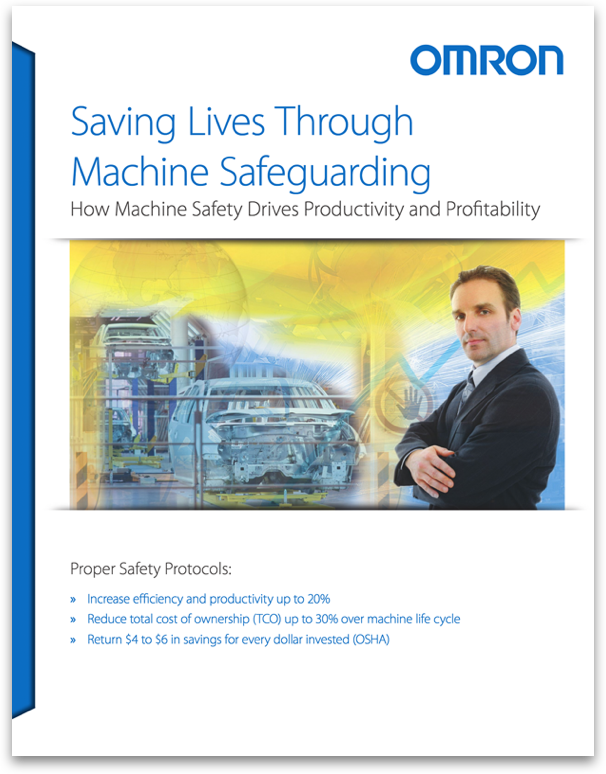 Are your machines guarded to all relevant standards? Do you have a documented risk assessment to verify this compliance? 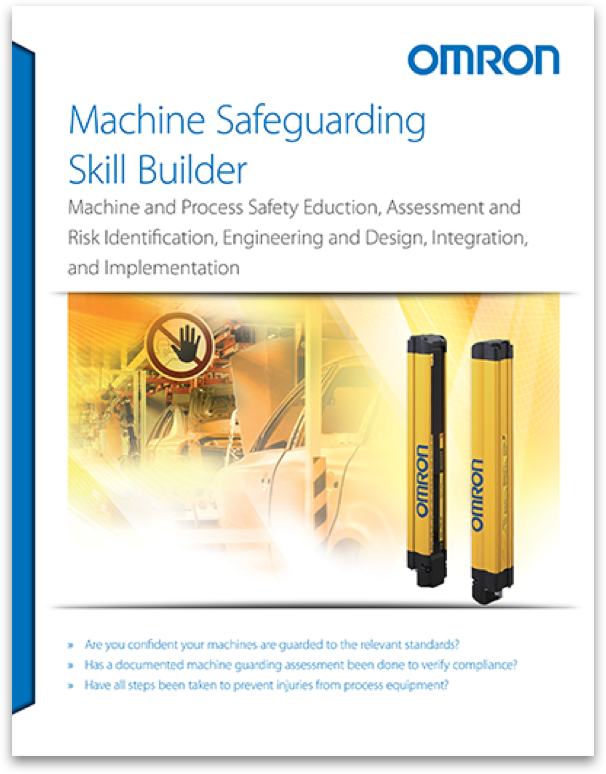 Have your employees been trained on machine guarding requirements? 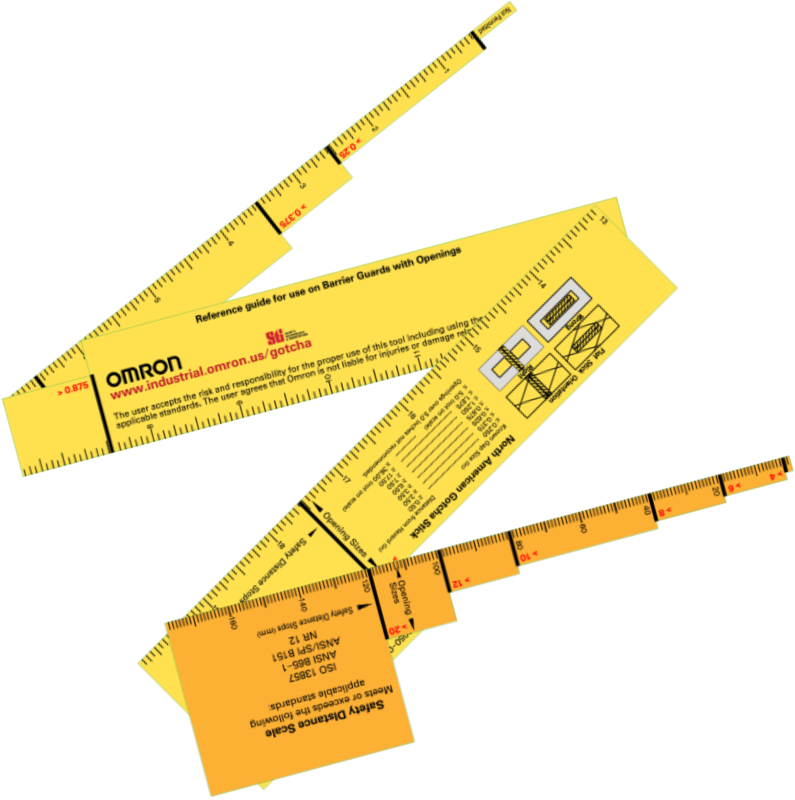 If you are unsure, or the answer is no to one of these questions, you or your team will benefit by joining OMRON Safety Skill Builder Workshop. While many safety discrepancies may be corrected by your plant maintenance engineer, some may require additional expertise to solve. Conducted on-site at your convenience, Skill Builders are 2 days Workshop that educate your plant personnel on the requirements and methods of machine safeguarding. This helps them to identify, and sometimes correct, machine safeguarding discrepancies. Conducted by two OMRON professionals, attendees will be empowered with greater knowledge to identify, assess, reduce and avoid potential hazards throughout your facility. The Safety Skill Builder Workshop has the most impact when the corporate EH&S Manager along with the plant level safety people meet at one plant location. Classes are small with no more than 20 in attendance.